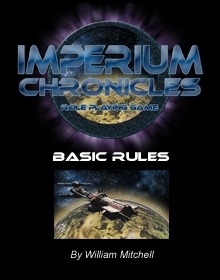 Theater of Operations: Boarding Actions portrays tactical combat between boarding parties attacking enemy ships in the Imperium Chronicles universe. One player takes the role of the Imperium while the other player controls the Magna Supremacy. 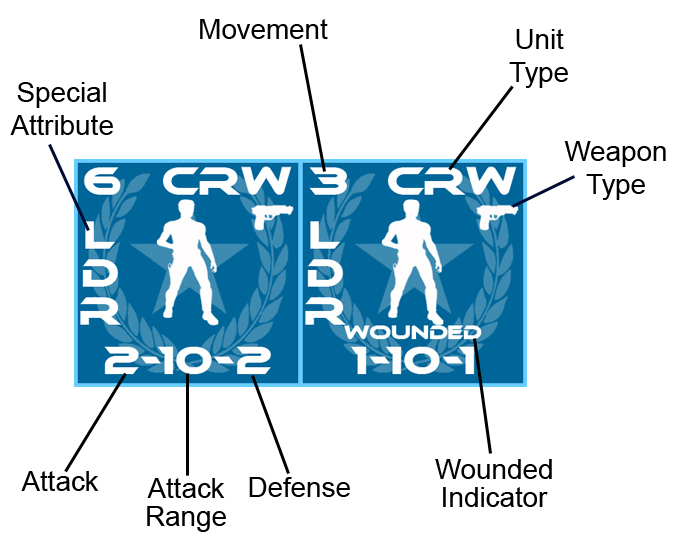 The game can be played using individual scenarios or players may choose to use resource points to “buy” their forces before the game begins. 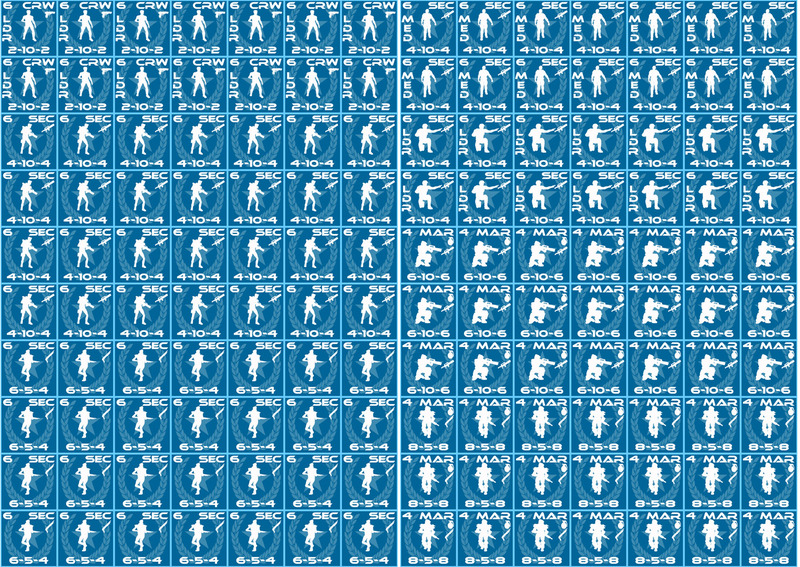 Units include regular crew members, security, marines, heavy marines, and turrets. Theater of Operations: Boarding Actions is designed with ease of play in mind, including rules that are simple to learn and execute. 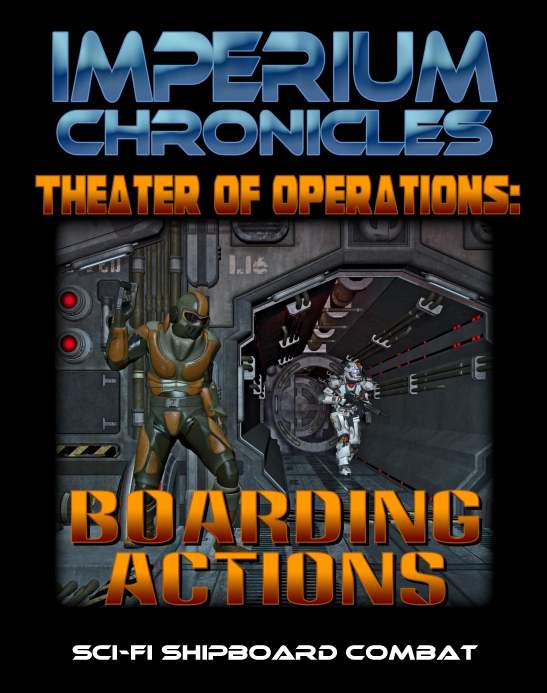 Theater of Operations: Boarding Actions is a stand-alone game that does not require any other Imperium Chronicles product. 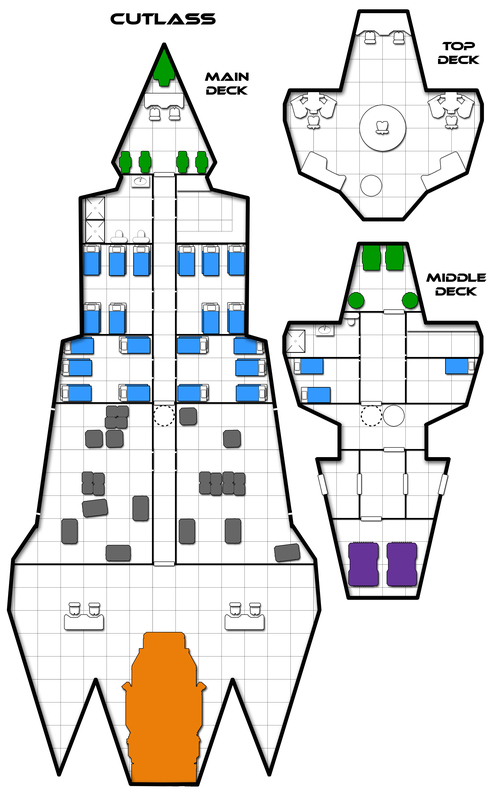 However, it can be used with Fleets at War: Theater of Operations to represent shipboard combat.